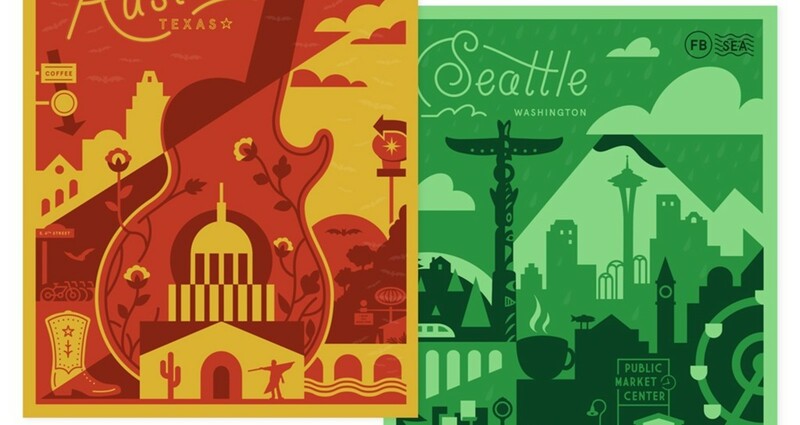 Part of a series of screen printed posters for each Facebook global office. 2 color with varnish overprint, ed. of 100 each. To create a global community that is representative and inclusive of every office, no matter the size - with the intended objective of being displayed in all offices globally as a large mural with one poster design from each location. A technical printing challenge was creating an overprint layer that conceptually and aesthetically enhances the illustration. Logistically, illustrating and hand screen printing an edition of 100, distributing and installing at all offices.